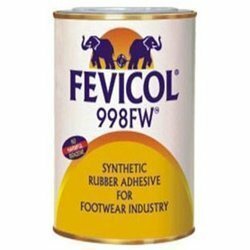 In order to fulfill the changing demands of our clients, we have been engaged in offering a wide assortment of Fevicol 998 FW from the house of Pidilite. The offered product is a synthetic rubber adhesive, which is commonly used in footwear industry. Owing to the features like high adhesion and high strength, these products are widely acclaimed in the market. Whole seller of rice and grains. And trader of wheat.